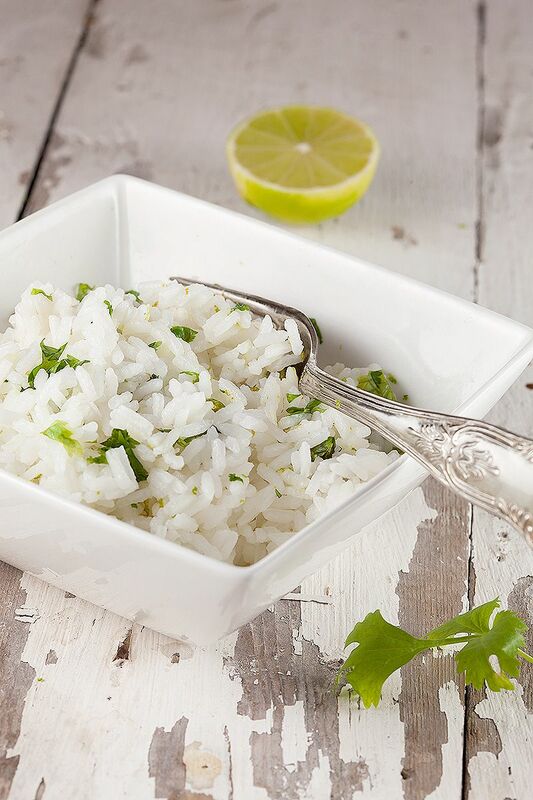 Easy, delicious lime cilantro rice goes well with salmon, chicken or turkey dishes. Recipe makes 2 cups, ready in half an hour. USE your chef’s knife to finely chop the fresh cilantro. ZEST the lime so you’ll end up with about one teaspoon lime zest. SQUEEZE the juice from the lime using the juicer into the small bowl. If you don’t have a juicer, you can use your hands instead. 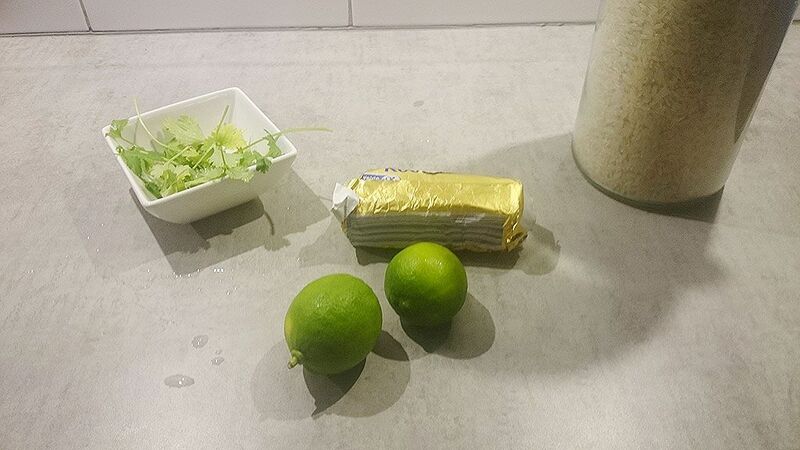 SLICE the lime in two, then press your fingers firmly into the lime and rotate to squeeze out the juice. FILL the medium-sized pan with water, place on high-heat and let come to a boil. STIR in a knob of butter and 2 cups of (long grain) rice into the boiling water. COVER, reduce heat to low and let simmer until the rice becomes tender. This usually takes up to 20 minutes, be sure to check once in a while. 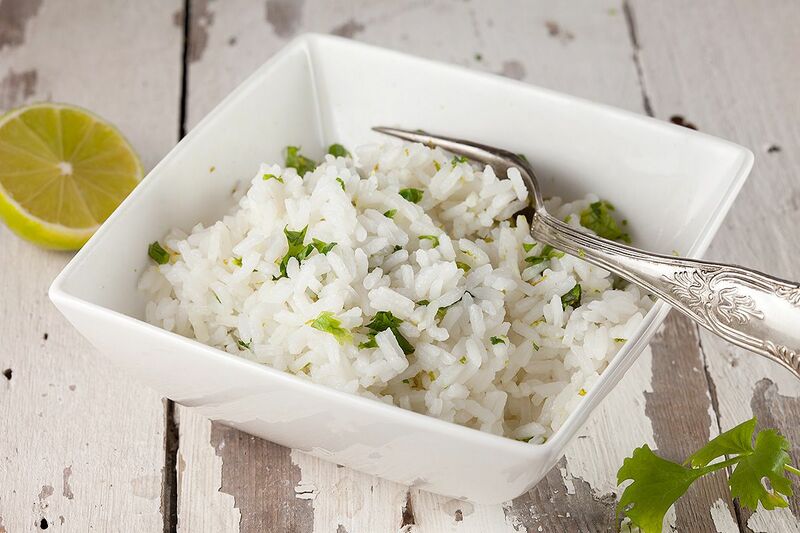 DRAIN the rice, transfer back into the medium-sized pan and stir in the lime juice, lime zest and chopped cilantro into the cooked rice just before serving. 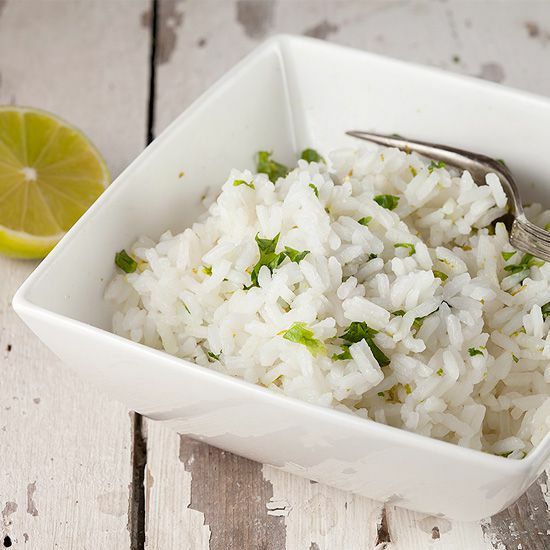 This lime cilantro rice side-dish is best served with fatty foods such as pork or duck, enjoy!